We heard at Google I/O about Google's plans to help improve the experience of users on slow connections, especially in parts of the world where even 3G speeds are few and far between. They gave us a peek at how the search interface would change under those circumstances to improve those load times. 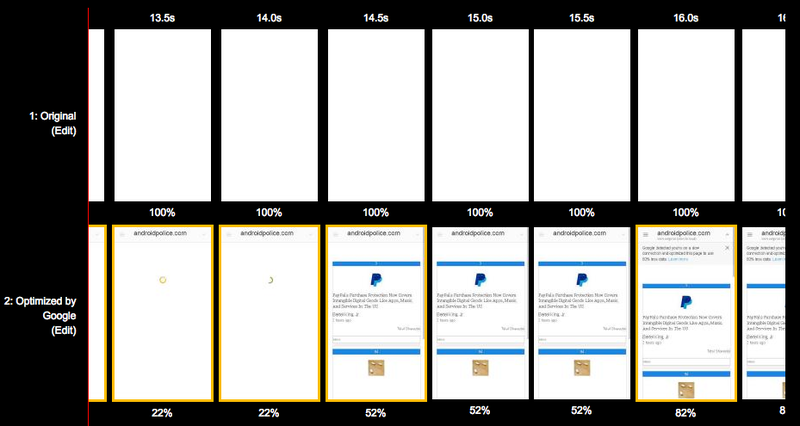 Now, in select markets, the pages you click on will also be optimized to load much faster. 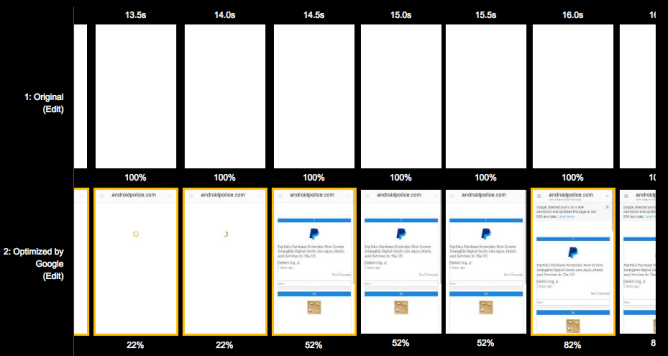 Google's estimates have you loading the page 4x as fast compared to the unaltered version when on a slow connection, with 80% less data. They claim, appealing to webmasters, that this results in 50% more pageviews due to the better experience and lower wait. The program was piloted in Indonesia and according to an updated blog post, it will soon arrive in India and Brazil, two of Android's largest emerging markets. That's right, for now, you won't be seeing this in the United States even when connections are slow. 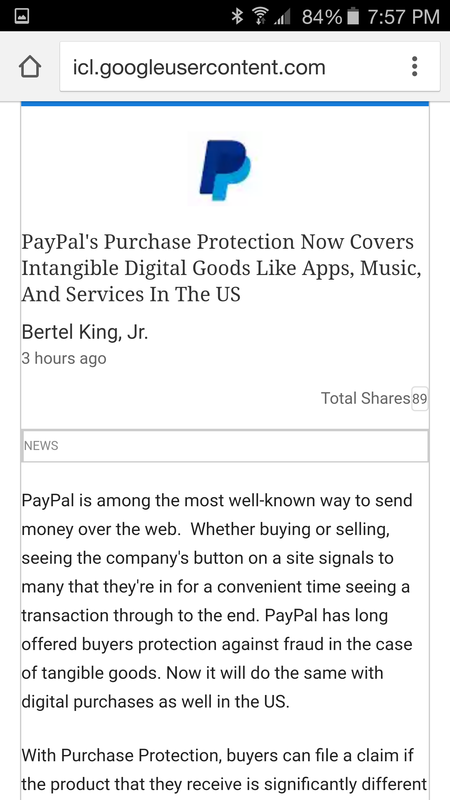 Likewise, you will only see the "transcoded" pages on phones (not tablets) running Android and using Chrome. The changes will only occur if you reach the page from a Google search query as well. Lots of conditions apply. And, to further clarify, the pages are only transcoded if the detected connection speed is below a certain (unstated) threshold. 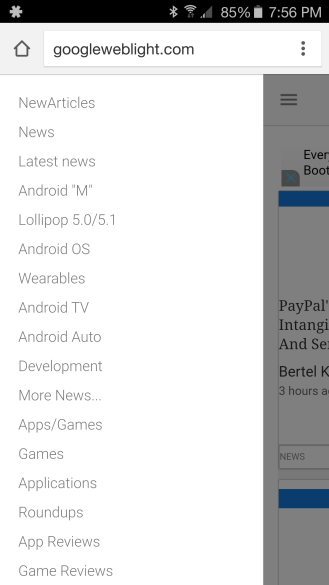 Here are a couple more looks at how it changed Android Police, visually speaking. First, it put our various navigation tools into a hamburger menu. Then, you can see that the post pages are basically just a stripped down version of themselves. If you want to try things out for yourself, just go to http://googleweblight.com/?lite_url=[destination URL], putting in the website you want to see where I have brackets. 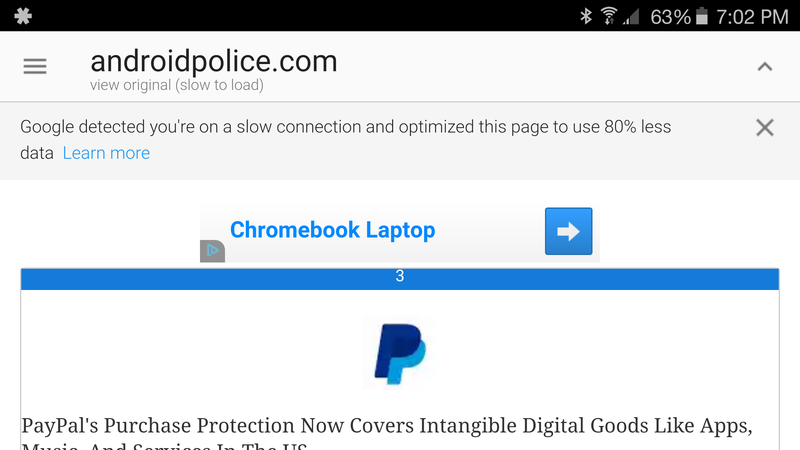 If you'd rather just click something, you can view Android Police with this link.